Any course of training generally ends in a certificate to mark the completion of it. 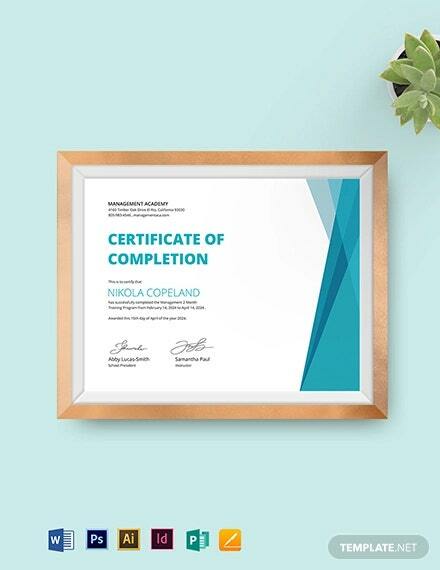 Templates for Certificates of training must try and find new and innovative design methods to cater to the many different programmes that are available. You can also see Certificate Templates. This template boasts of a smart and professional design, with a white and grey theme. 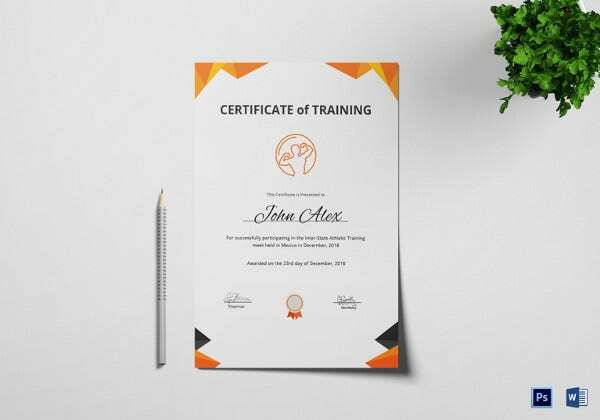 If you have organized a training program at your place of work, or you’re awarding certificate for professional purposes, then you need to take a look at this amazing template. 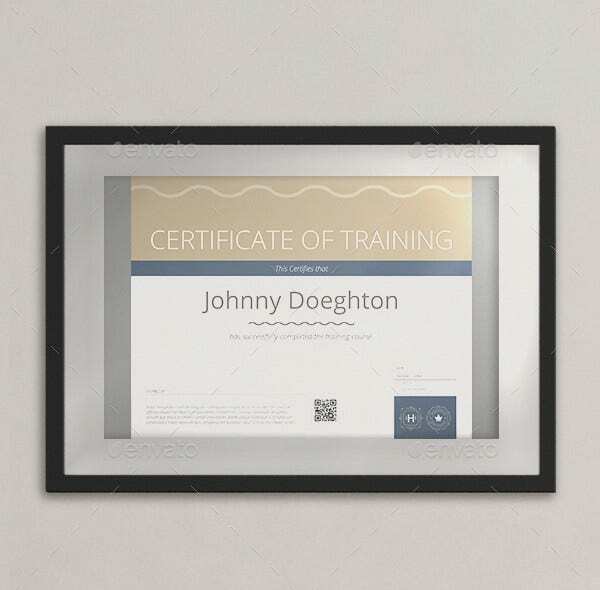 You may also see Free Certificate Templates. 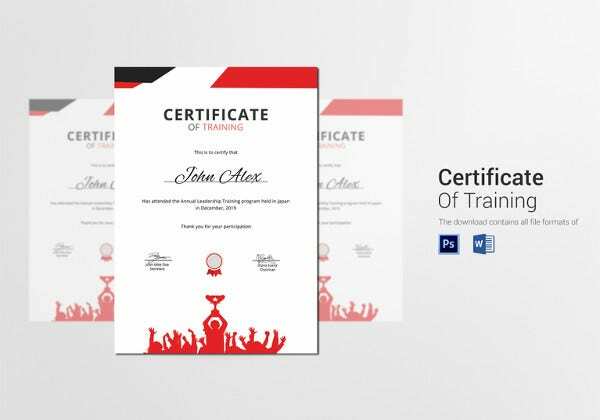 Training Certificate is a minimally designed certificate template with the option to edit it. 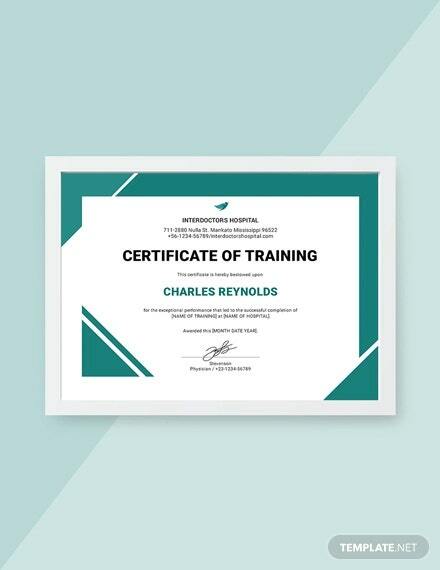 It has a formal look and is great for any formal or professional training certificate. 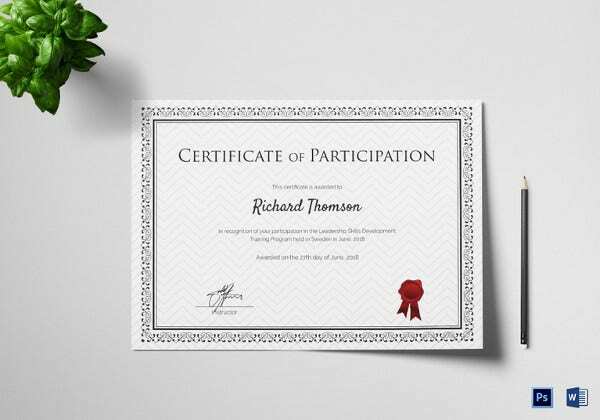 You may also check out here Participation Certificate Templates. 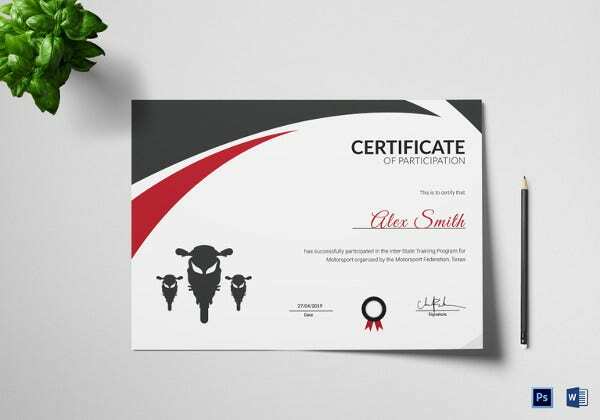 Since this template can be used for more than one purpose, it has been ranked one of the top ten participation training certifications. The theme of this template makes it more suitable for participation training programs than professional ones. You may also see Certificate Samples. 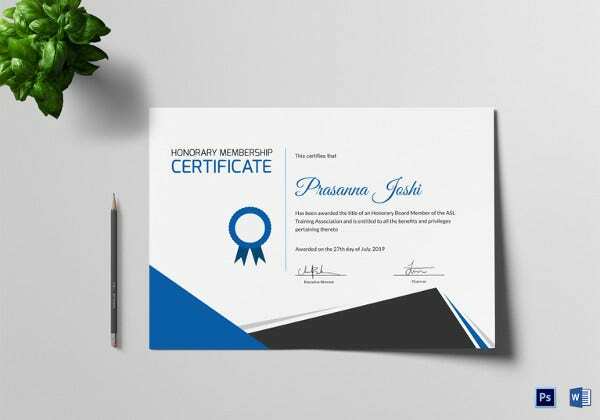 Modern Multipurpose is a beautiful certificate template that comes in two type format – horizontal and vertical. Its colour code is CMYK and you can choose from one of the many backgrounds. Its resolution is 300 dpi and it is print ready. 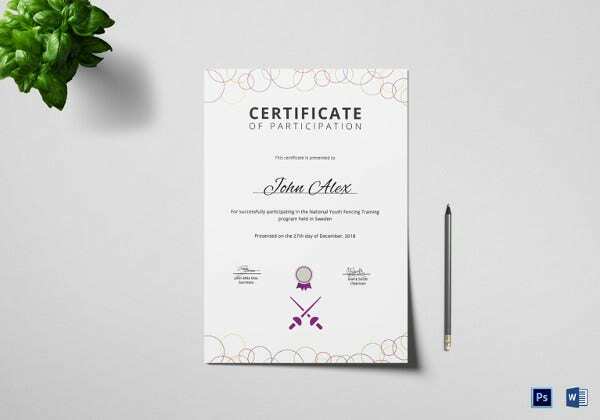 You may also see Creative Custom Certificate Design Templates. Marathon Training Certification is awarded after he or she completes a training program. 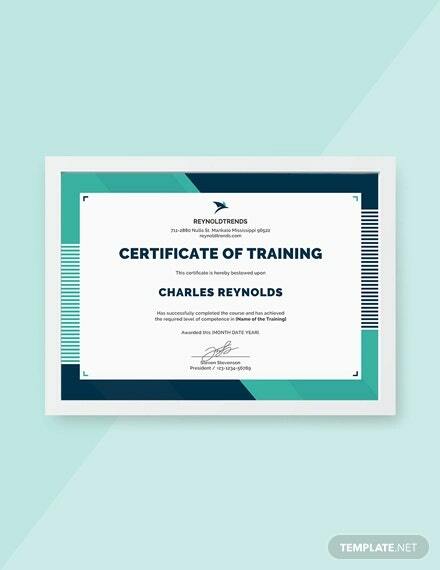 If you’re planning to award a Training certificate, then you cannot afford to miss out on this template. 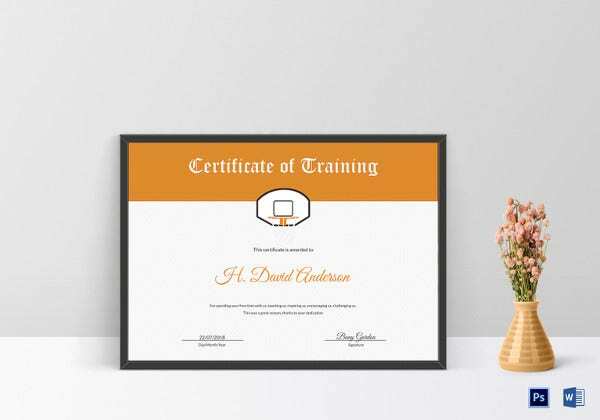 You may also see Fitness Training Certificates. 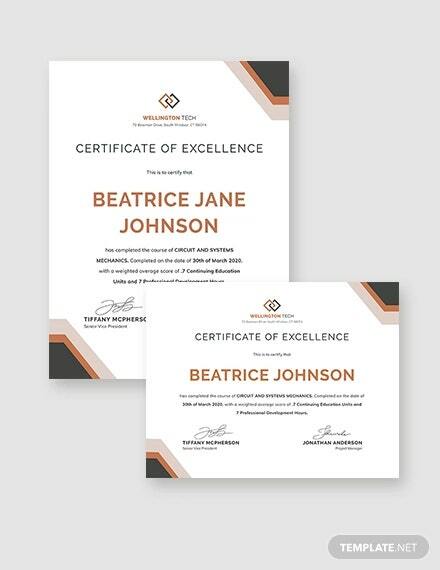 If you have been looking for a professional certificate maker, then look no further. You have found the one for you! 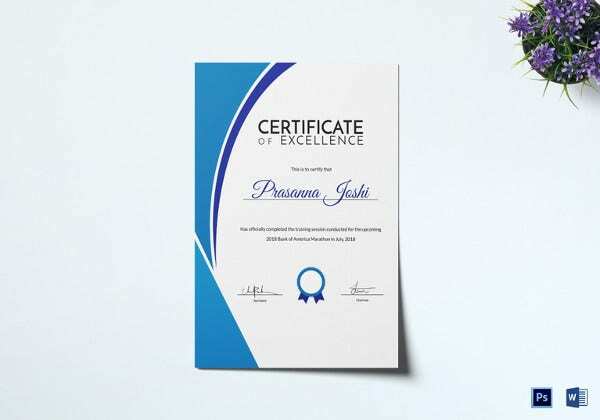 A training program at a company would be incomplete without a well designed, neat and smart certificate like this one. So what are you waiting for? 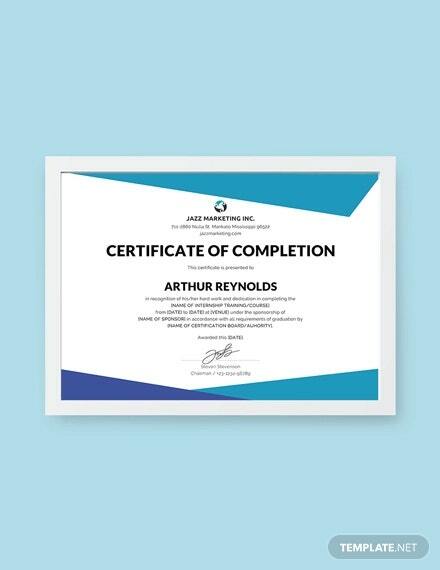 Certificates look best when kept simple and to the point. 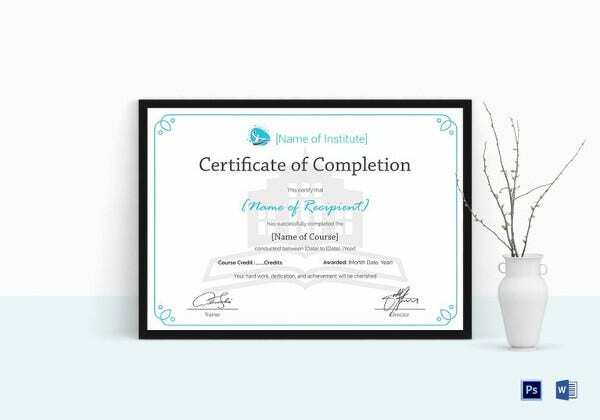 That is why you need to download this training certificate template today. The simple white certificate, with a bright border looks really attractive and stylish. You may also see Participation for Sports Certificate Templates. Physical fitness training certification guarantees more participation in your event, and also motivates and encourages the ones participating. 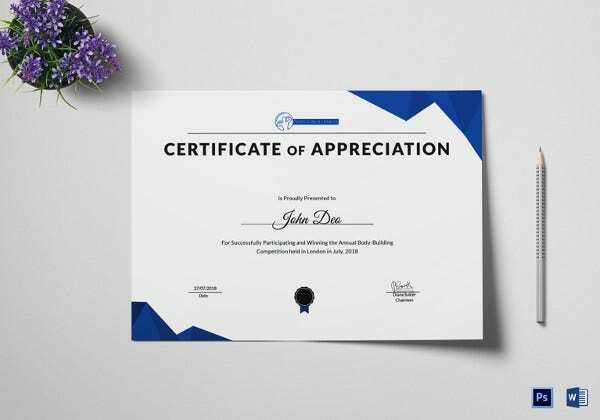 If you’re planning to create a certificate for your next event, why not take the help of this great template? You may also see Certificate Templates in Word. 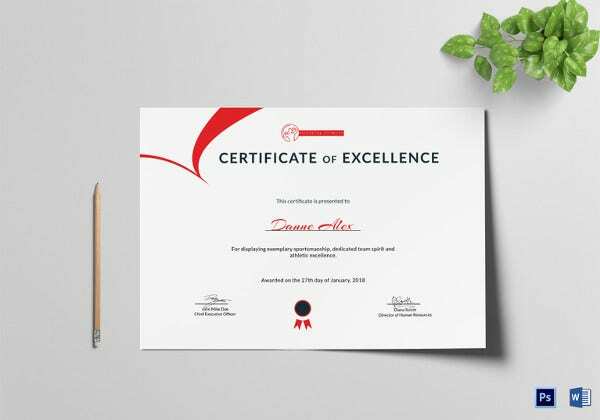 Beautifully designed with artistic designs on the corners and the centers, National Fencing Training Certificate is professional looking and attractive at the same time. It can be edited easily and is print ready. You may also see Certificate Templates in PDF. 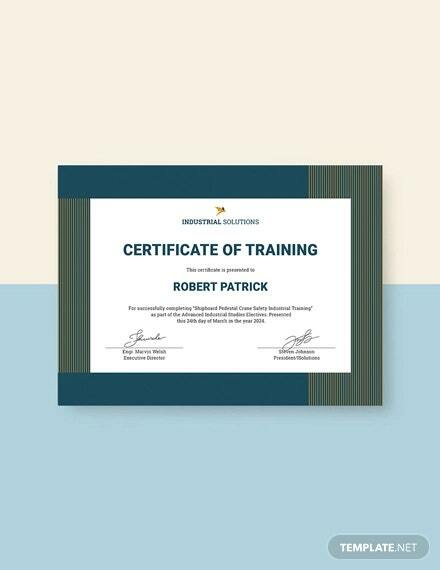 Training certification is awarded to an employee after he or she completes a training program at his place of work. 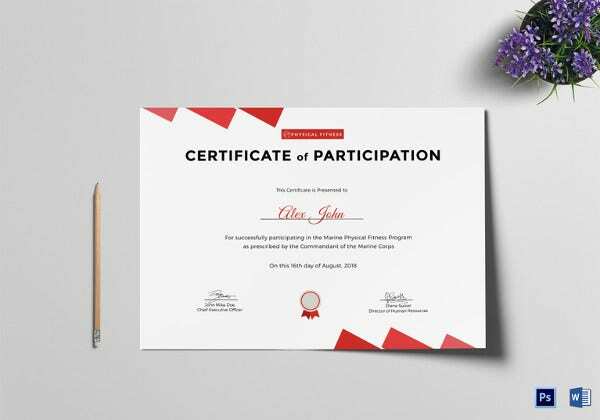 If you’re planning to award a participation certificate to your employees, then you cannot afford to miss out on this template. You may also see PowerPoint Certificate Templates. Looking for different training certification types? Then you cannot afford to miss out on this one. 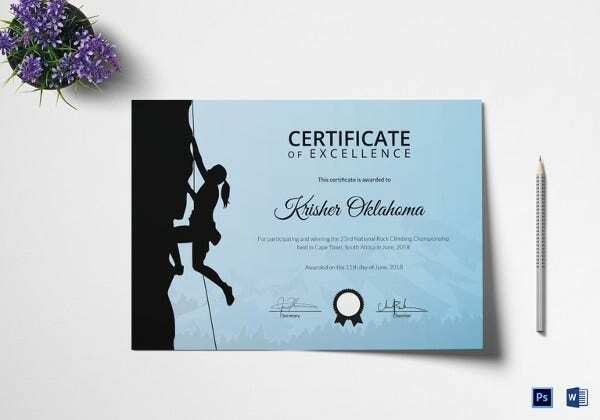 It is a step away from the conventional designs, which can add a unique charm to your certificate. Download this, and use it for any purpose you want! 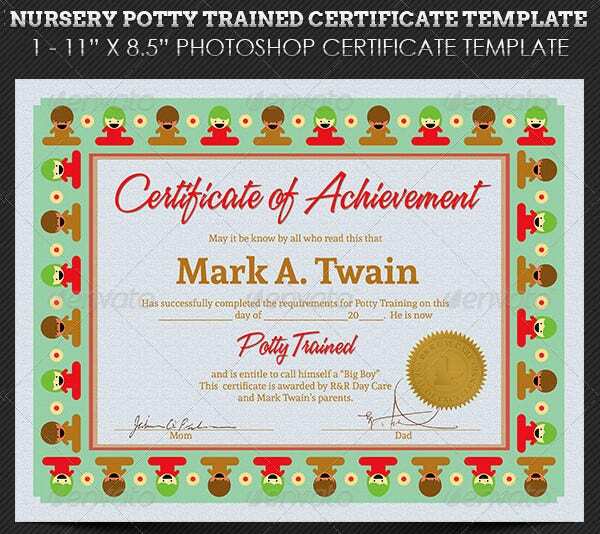 You may also see Sample Printable Certificate Templates. If you are organizing a training program, you must also make arrangements for certificates to be awarded at the end of the program. 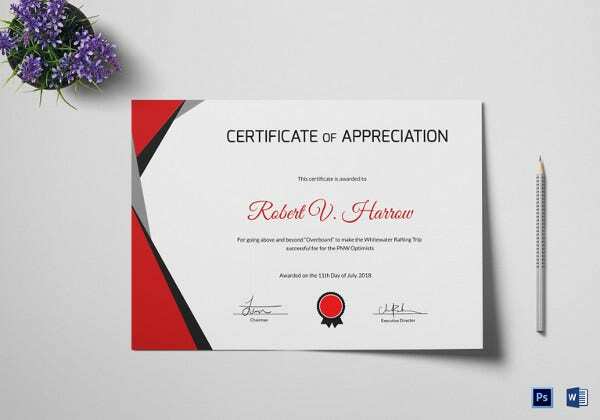 The kind of certificate usually depends on two factors – how long the program lasts, and the extent of the participation of the person in question. For example, an employee volunteering in the management section will be receiving a certificate mentioning his efficient organizational skills, while a person participating in the various events of a training program will receive a certificate of completion. Some training programs even award employees who show an exemplary performance. 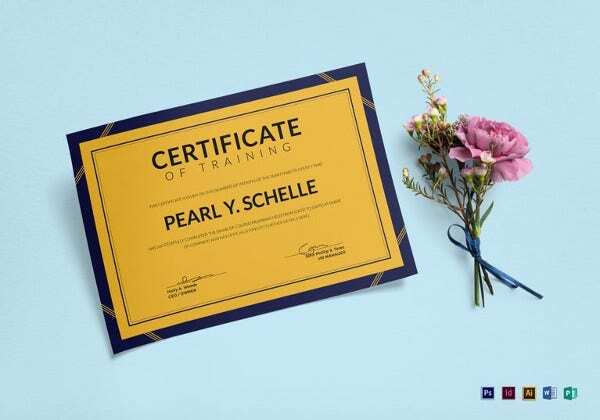 Why Is A Training Certificate Useful? If there is a training program of any kind, there must be a certificate to prove that. It really is as simple as that. It serves as evidence of a member’s participation, and can be used for future reference. In the corporate world, a certificate just motivates the employees. If they are promised certificate for participation, they are likely to take part in the event with a lot of enthusiasm, and constantly strive to be the best. You may also see Online Certificate Templates. Standard layouts can serve as a good base for the certificates, and some details about the specifics of the course itself are essential. 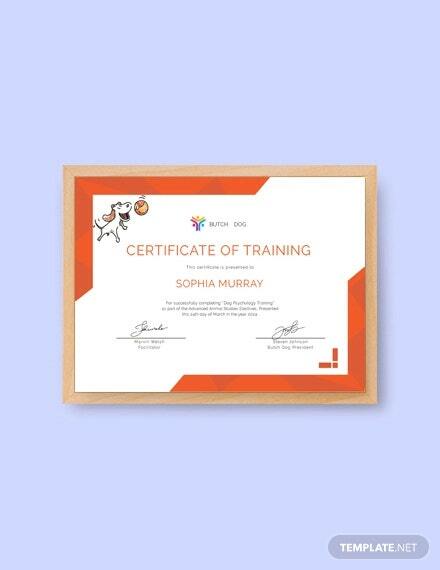 Depending on the special focus of the certificate, it can be used by the trainee to further their interests with the credits that they earn. 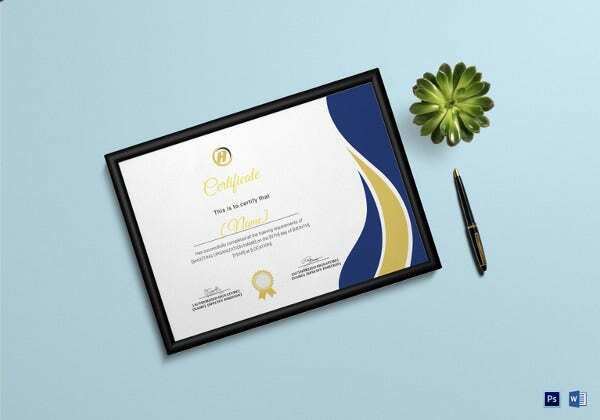 Award Certificates used for distinguished performance in training programmes can be designed with the help of these templates, so that in the cases of exceptional need or talent, these Free Training certificates can also serve as proof. Download Sample Training Certificate templates available online, which can be tweaked and changed in appearance before they are printed out to hand over to trainees who have completed their training. 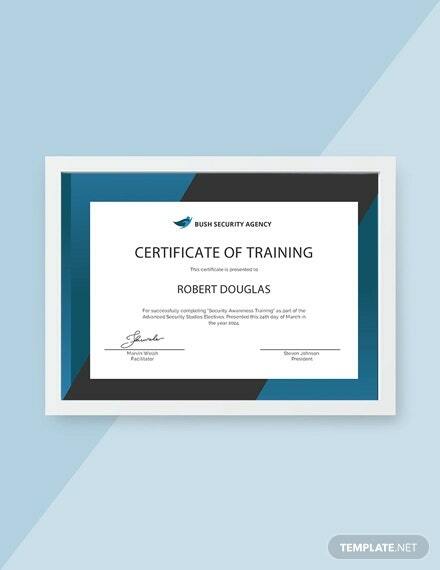 Make sure that the colour scheme you choose for your certificate goes with the theme of your training program. 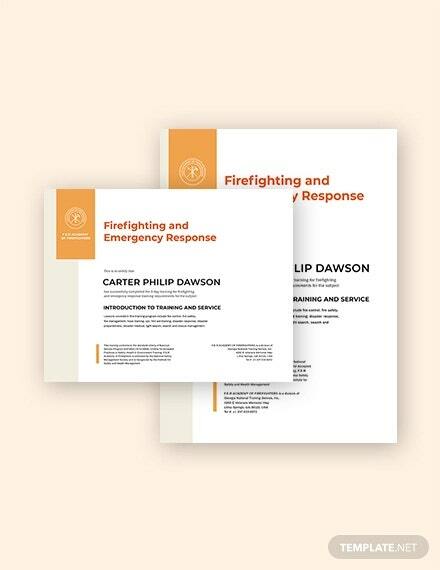 For example, a professional certificate must look formal and usually has a conventional colour scheme. 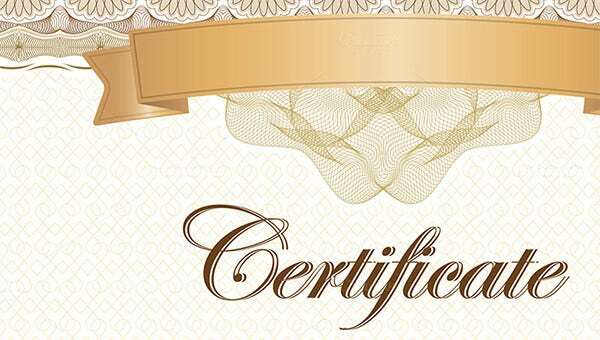 States the purpose of the certificate and the reason why the person is being awarded in clear, precise terms. 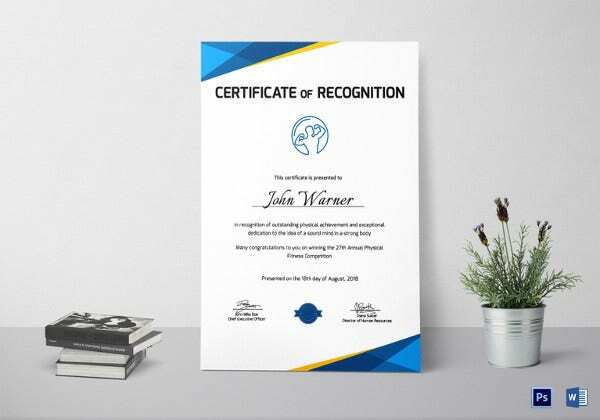 Remember, this certificate is going to be of great value to the recipient; if he is being awarded for a good performance, do not forget to mention that. Pay attention to the little details, like the name and other details mentioned in the certificate. One small mistake could ruin the certificate, and it would lose its value. While you are free to include any details that you want in the certificate, it is better to keep it simple and short. It should be neat and clutter free. The highlight should be the name, and the reason of certification. 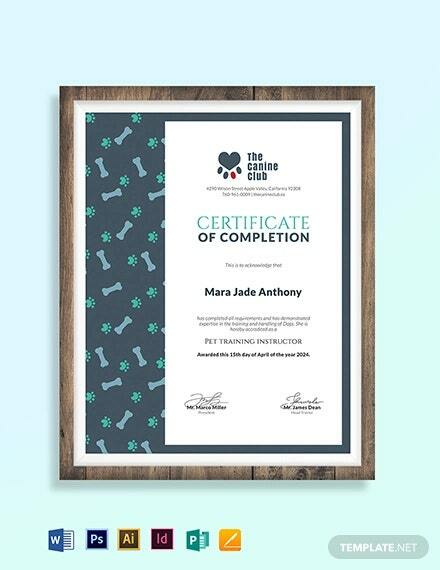 How To Make A Training Certificate?